A week after I went to San Francisco (see previous post,) and I took a trip to New York City. When I get older, I want to live in New York. There are so many things to do and there is always something going on. 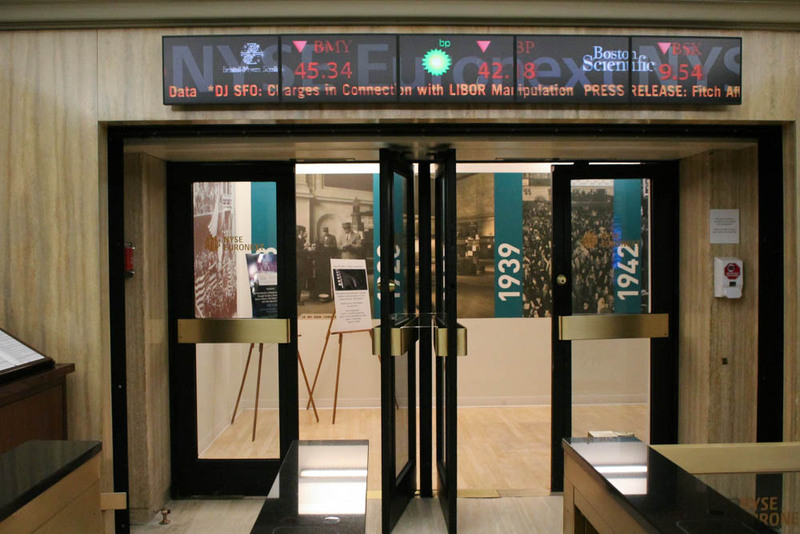 While we went there to visit family, colleges, and I got a chance to go into the New York Stock Exchange! 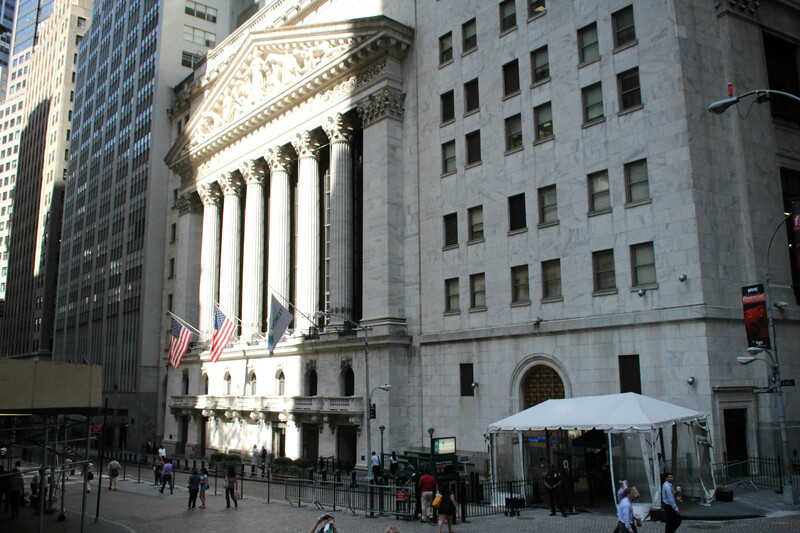 The New York Stock Exchange is located in lower Manhattan in the Wall Street area. The entire area has a very European feeling as it is the oldest part of New York City. To give you an idea of how old the area is, George Washington was inaugurated at Federal Hall (Built in 1700) across the street from the NYSE. 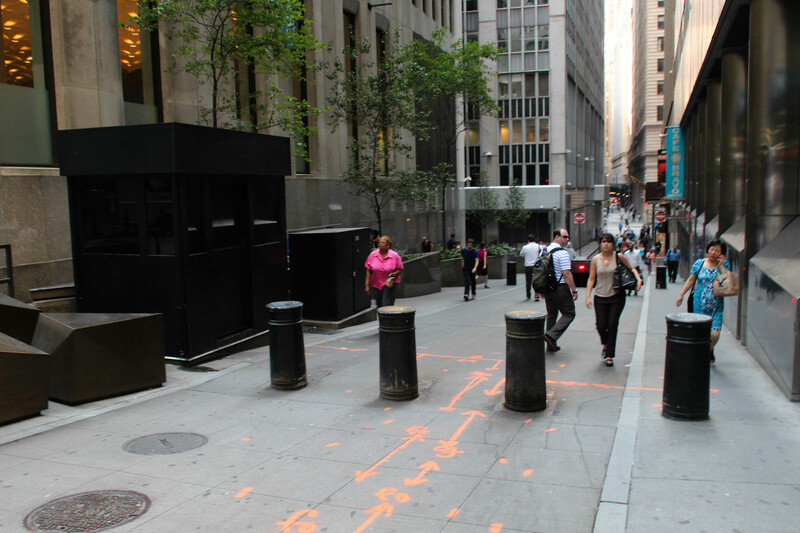 Today, in our post 9/11 world, the entire Wall Street area (The NYSE at the center) is under very heavy security. Unless you have special permits, no one is allowed to drive within a few blocks of the Stock Exchange (and they search all cars that come in). The entire area is patrolled by police on the ground and Homeland Security helicopters in the air. All this security may be justified, as $150 billion goes through the New York Stock Exchange every day. The total market capitalization of all the companies traded on the NYSE is $16 trillion, which is about the same as the entire GDP of Europe. As for the exchange itself, they have barricades preventing you from getting within 20 feet of the building (though this may have to do more with crowd control for protesters and tourists.) While it was previously possible to get a tour inside the exchange, they stopped tours indefinitely after 9/11. I learned that another reason they no longer allow random visitors in the exchange is that protesters would go on tours and protest IPOs of controversial companies. One time, an IPO had to be stopped after a protester punched the designated market maker for the IPO in the face. Lucky for me, I was able to get into the exchange; as the daughter of a family friend, Katie Bowe, works in the building. Before I start talking about the inside of the building I would like to thank Ms. Bowe for getting us in and giving us a tour. I was both surprised and happy to find out that I was allowed to shoot pictures inside the building. The surprisingly modern lobby in comparison to the rest of the building. Other than the trading floor itself, the building has a huge boardroom, offices and a restaurant (which used to be used as a club by the traders.) The exchange also has a museum about its history. It was pretty empty since they don’t allow the public into the building. I have been to about five trading floors, all different in their own ways. 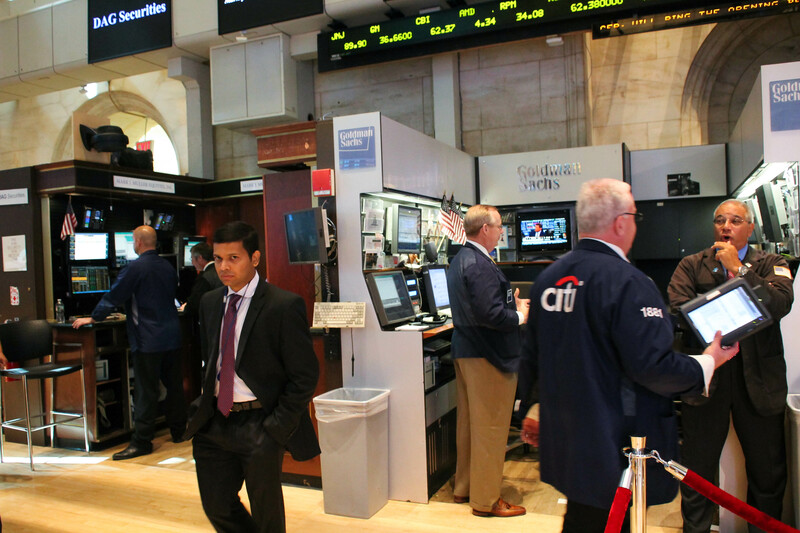 The floor of the NYSE was pretty quiet, but it definitely was active. 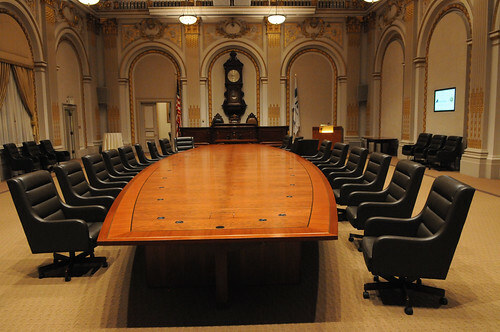 Most trading floors I go to though, look dead in comparison to the Chicago Board of Trade. It look like a mosh pit, but this isn’t a party. I also got to watch the Opening Bell Ceremony, which is considered to be one of the highest honors in the business world. It is said that executives dream of ringing the Opening Bell. In order to ring the bell, you must either be very famous, or have your company listed as a stock traded on the NYSE. On the first day of trading, you will be invited to ring the bell. That day, it was the IPO for Organovo, a medical company. In the past, they have had issues with celebrities showing up late for the bell, but whether or not they show up, the market will open at 9:30 EST. Also, it was the first day of trading for Oracle Inc, which switched from NYSE’s rival NASDAQ. 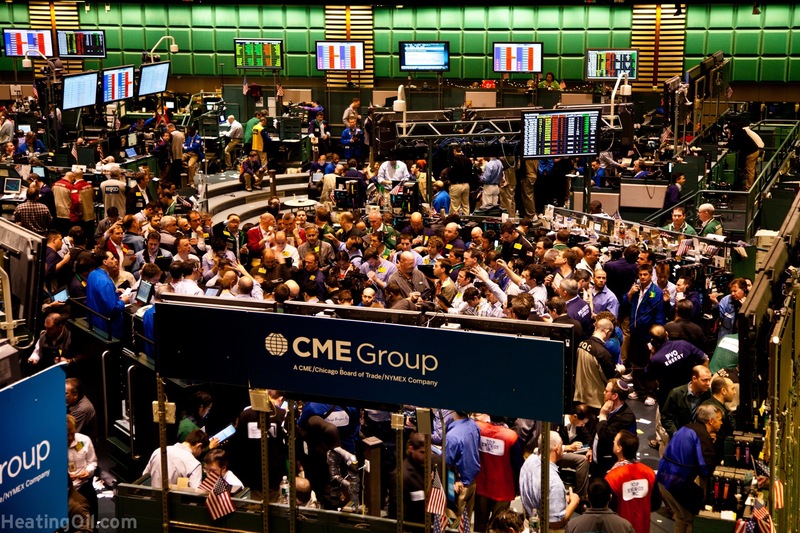 Now you’re probably wondering how the trading floor works. 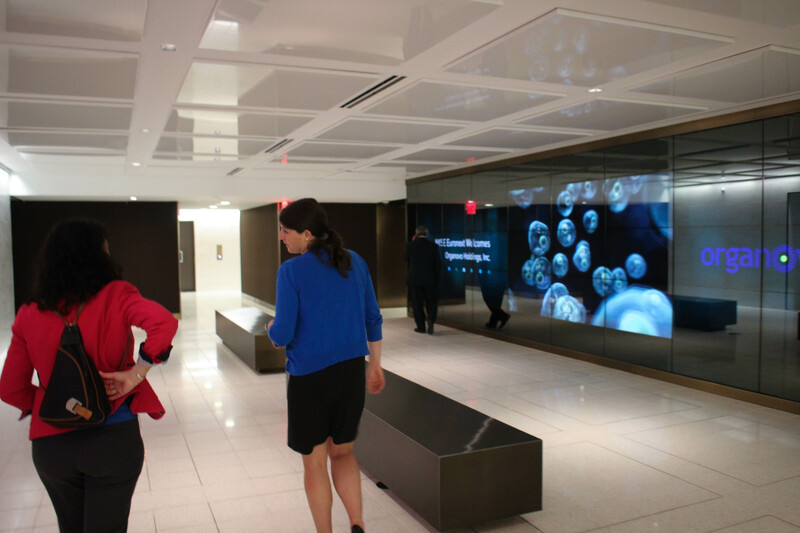 Calls (and now electronic messages) come in from brokerages around the world to small cubicle areas located on the side of the trading floor. In the old days, they would have someone called a runner who would run the trade orders down to a trader. Now this is done electronically, with traders carrying tablets which show their orders. The traders then walk to the area of the floor where that stock is traded and give their order to the trading specialist. Investment banks compete with each other to be the designated specialists for certain stocks. Specialists act as market makers, matching buyers and sellers on the stocks they oversee. Specialists are also tasked with maintaining liquidity (the ability to buy and sell a stock easily) and monitoring trading. Once a specialists matches a buyer with a seller, the trade is executed. 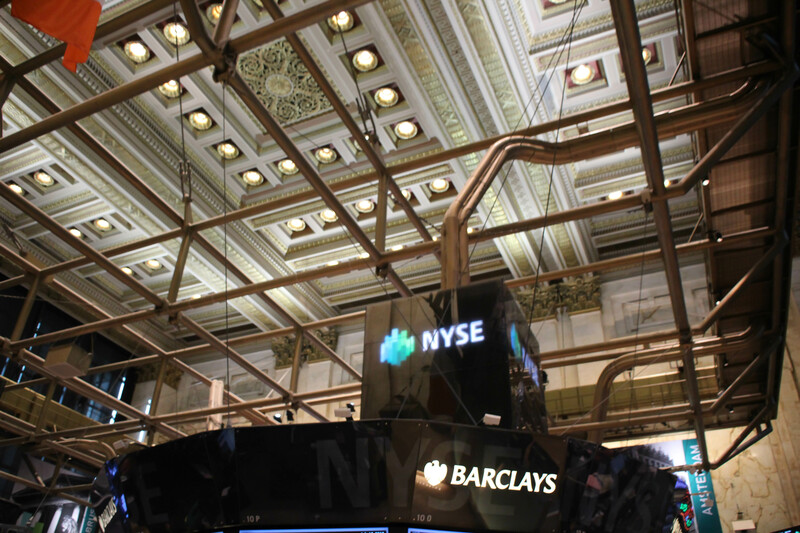 At the NYSE, up to three billion shares change hands everyday. I also learned some interesting random facts about the exchange. For instance, both the floor and the ceiling are national historic landmarks, so it is illegal to modify them in any way. They are not allowed to drill into the floors or add support for any reason, which becomes a problem when they have tons of computers. Someone devised a solution so that all the towers and computers are actually hanging from the walls of the exchange, as you can see in the picture below. Very beautiful ceiling. You can also see how the towers are supported. Ms. Bowe also told me about the exchange’s shift to hybrid-electronic trading, which the exchange had been against. The SEC had put pressure on them to make the switch. They believe that electronic trading leads to increased volatility and puts the average investor at a disadvantage (the average investor can’t execute 10,000 trades a second.) It also has led to a huge decrease of floor trading; 10 years ago visitors were not allowed to walk around on the floor as there was not enough room. Another issue with electronic trading is that minor computer glitches can have dramatic effects on the stock market. One example was on May 6, 2010 when a trading computer accidentally ran into a glitch and dumped millions of shares onto the market, causing the Dow Jones Industrial Average to lose 600 points in less than five minutes. 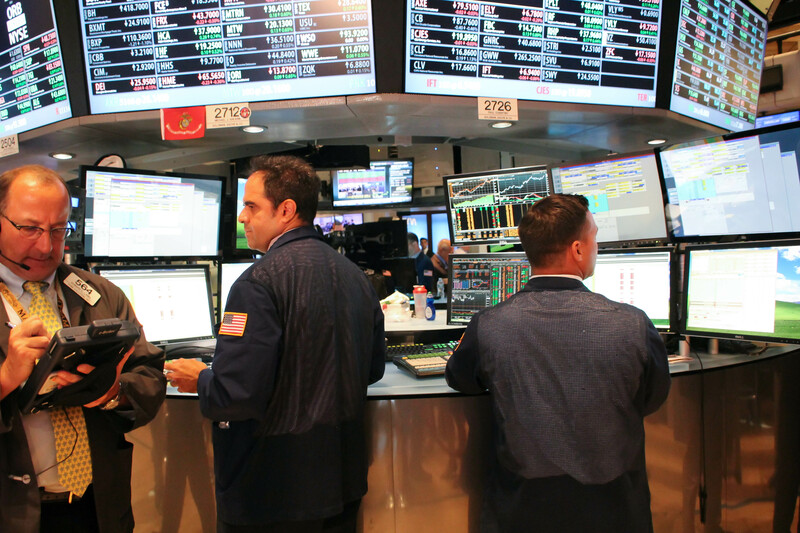 The New York Stock Exchange now takes action in order to prevent these types of crashes. If they detect what they perceive to be a computer glitch, they can halt trading on a stock. If the entire market goes down a certain percentage in a short amount of time, they will halt trading on all NYSE Euronext stocks. 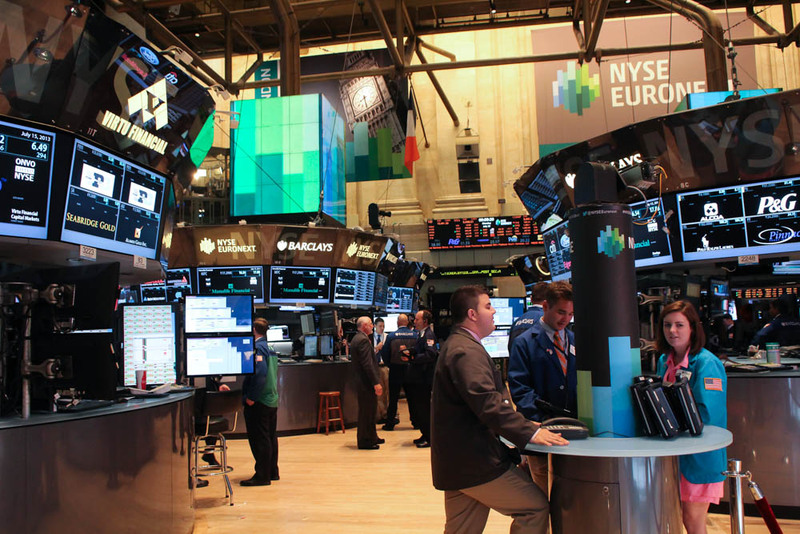 NYSE Euronext’s main competitor is NASDAQ OMX. NASDAQ OMX is interesting because it has no trading floor, all trading is computerized. The New York Stock Exchange has turned into a symbol for capitalism and the entire financial industry. Because of the recent economic crisis, it draws a lot of protesters. The truth though, is that none of the trades that caused the crisis happened in the NYSE. People would be better off protesting at the World Financial Center or the Chicago Board of Trade. 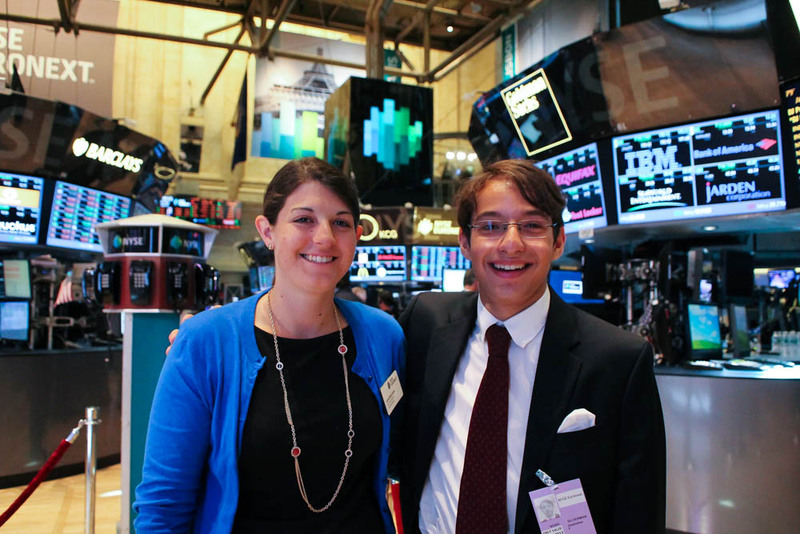 Once again, I really would like to thank Katie Bowe for this wonderful tour of the New York Stock Exchange! Previous PostAmerica by Rail, On the California ZephyrNext PostRacking up college debt, is it still worth it?